Register for discounted entries of $25 for individuals $55 for families (2 adults 3 kids) for Race Around the Square on May 18th. 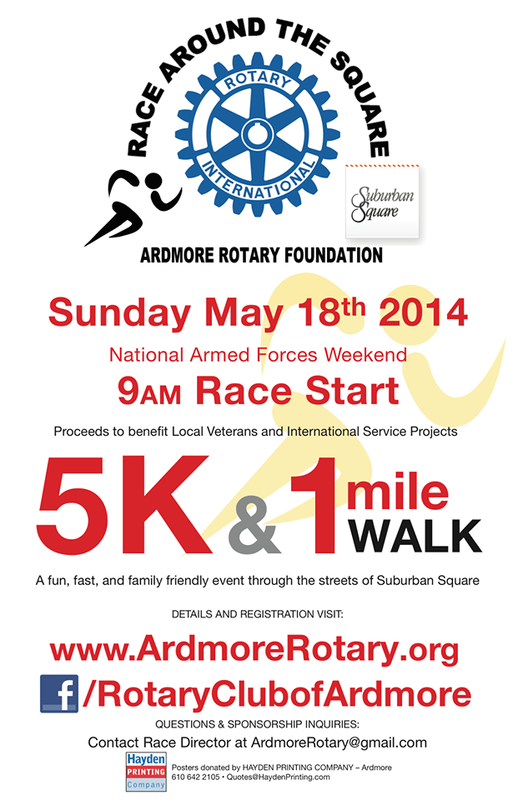 Enjoy shopping and post race activities in Suburban Square and check out theClover Market in downtown Ardmore. Post race stretching & yoga with lululemon athletica Suburban Square, tryout a WOD with CrossFit Main Line, win an opportunity to stand in the Royal Bank Money Machine…and check out some of the other great local sponsors helping to raise money for local Veterans.